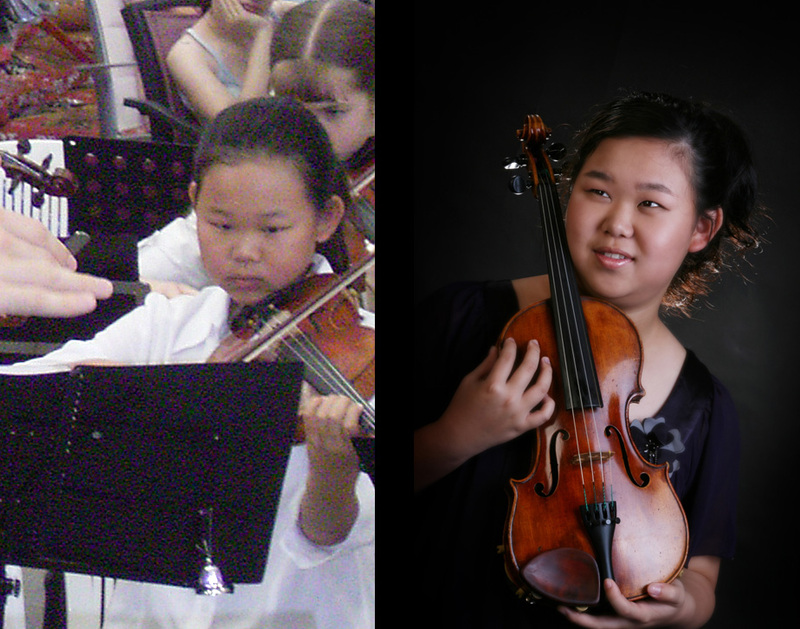 We caught up with Wendy Kong (former Fisher’s Ghost Youth Orchestra violin player), who recently earned a full-time position with the Sydney Symphony Orchestra! She was in FGYO from 2003-2006. You can see her ‘then and now’ photo to the left. That’s her playing at a Bunnings Campbelltown Christmas Play-out in 2005. FGYO was the first orchestra she ever played in. Do you remember what it felt like playing in the orchestra for the first time? I was in year 2. I remember I got lost quite often because I kept looking around trying to find where all the different sounds were coming from. How important was playing in FGYO for you? I learnt so much from all the conductors and tutors. Before joining FGYO I never knew what it was like to play with other people and how important it is to learn to do that. By joining so young I really felt like I got a head start to becoming a well rounded musician. Did you ever dream of doing something apart from music? I wanted to be a swimmer when I was young, but my mum insisted on music and I'm glad she did! The highlight of my musical career is definitely my masterclass with Maxim Vengerov. He's one of my idols and I feel super lucky for having the chance to play for him. Any advice for younger violinists? Take all the opportunities you can get. Every opportunity will open doors and never be afraid to try something new!